1. 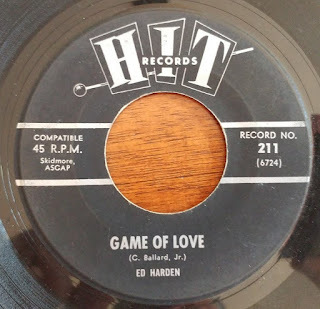 ED HARDEN-"The Game Of Love"
Ed Hardin (as he was known) must have been real pissed when Wayne Fontana and The Mindbenders did a note for note version of his interpretation of this Clint Ballard smash. The drum/bass intro on the original floors me every time! Unfortunately I can't find a clip on YouTube! 2. THE HOUSE OF NIMROD-"Slightly Delic"
New Zealand is not known for it's trippy 60's sounds but this 1967 single is an exception to the rule and worthy of any contemporary Anglo stuff from the genre. Back when Billy Childish still rated and wasn't flogging his music to death he was capable of some brilliant stuff. This track from the Caesars "John Lennon's Corpse Revisited" LP sees Billy bemoaning the woman who's been screwing around behind his back to a rough and ready Troggs meet Sonics beat. 4. LEW COURTNEY-"The Man With The Cigar"
Made famous by Herman's Hermits on the flip of "A Must To Avoid", this is the original version cut by Lew Courtney (who became "Lou" on his next release) two years prior with a bombastic, orchestral backing worthy of a Walker Brothers record! 5. 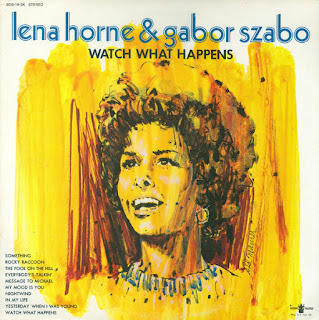 LENA HORNE & GABOR SZABO-"Something"
From the 1970 Skye/Buddha LP "Watch What Happens", this pairing between the grand dame of jazz and the most way out jazz guitarist surprisingly produces some stellar results. 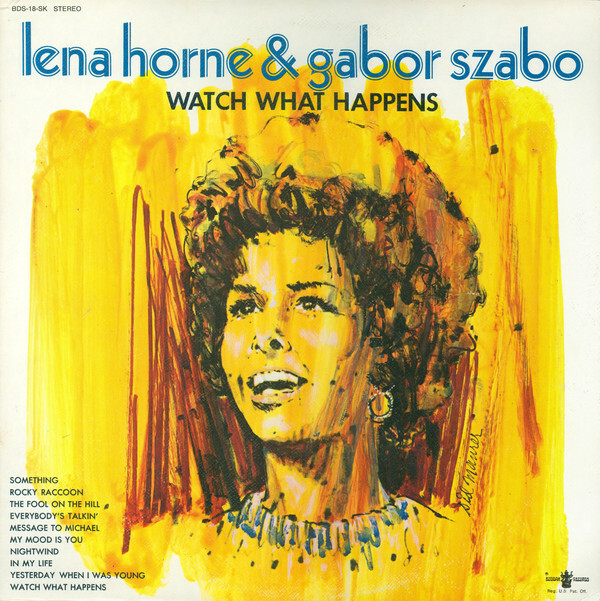 Most of the tunes on the album are Beatles covers, and this one is smoky and sultry. The Clique were a welcome breath to the mid 90's mod scene, in a world awash with Brit pop and manufactured "mod" boy bands The Clique flew their freak(beat) flag on the mast of a skillfully piloted ship careening straight for the rocks, but it was a ,lovely voyage wasn't it?! This brilliant reading of "Cantaloupe Woman", originally a flip side of a 1966 Prestige 45 was unearthed on "The Further Adventures Of Mod Jazz" with an incredible mix of funky organ, wailing sax and gritty guitar licks. I have a love/hate relationship with Weller. 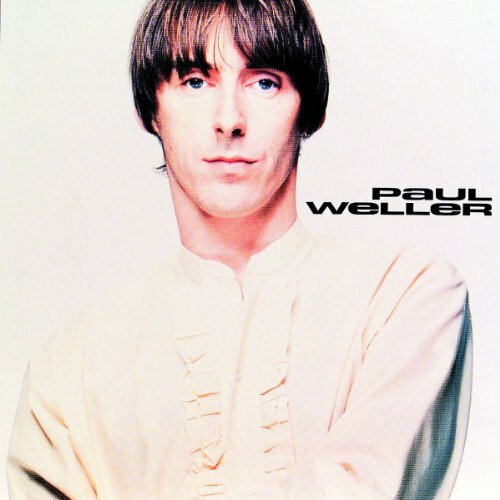 Well hate is a wrong word, and it's not Weller I hate. What I hate is the lemming like blind adulation that seems to attach itself to him and everything he does. That said it makes it difficult to enjoy his music when everyone and their brother are claiming that the new album is the best one ever. For me I have always dug his solo debut. "Bitterness Rising" is one of it's hidden gems that falls somewhere between the music of Thunderclap Newman and the soulful voice of early 70's Marvin Gaye. 9. ERIC BURDON & THE ANIMALS-"Mama Told Me Not To Come"
Eons before Three Dog Night charted with this Randy Newman track Eric Burdon and the newly revamped Animals cut it in 1966 where it was originally intended as their Decca debut backing "Help Me Girl" but was inexplicably withdrawn at the 11th hour with "See See Rider" taking it's place. Pity because it really works, thanks in no small part to a horn section. 10. MEL TORME-"Games People Play"
In '69 the Velvet Fog took a crack at Joe South's social observation smash with some cool results. It's in essence one half schmaltz-supper club Vegas and one half jazz. Regardless it's amazing all down to Mel's subtle but cool vocal style. Lynne Randell "That's A Hoe Down"
Ready Steady Go in Color!